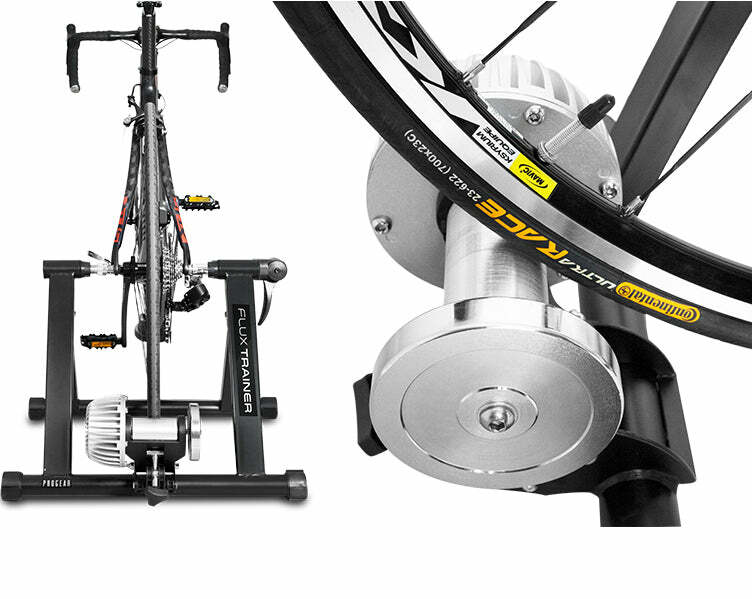 Why Choose a Fluid Trainer? 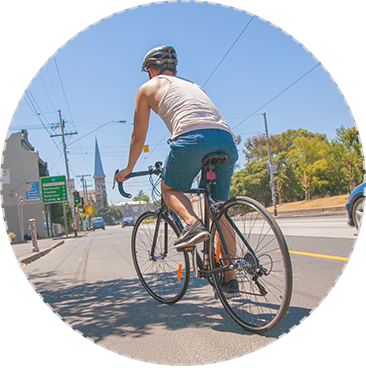 Our 6-speed reliable Shimano drivetrain comes with great gearing ratios for smooth and easy street/urban riding. 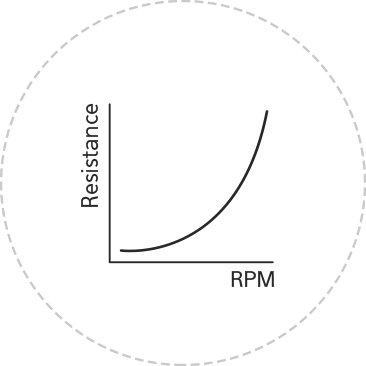 The harder you pedal, the more resistance generated. Fluid trainers feel similar to road riding, where resistance will be dynamic and changes in accordance with cadence. 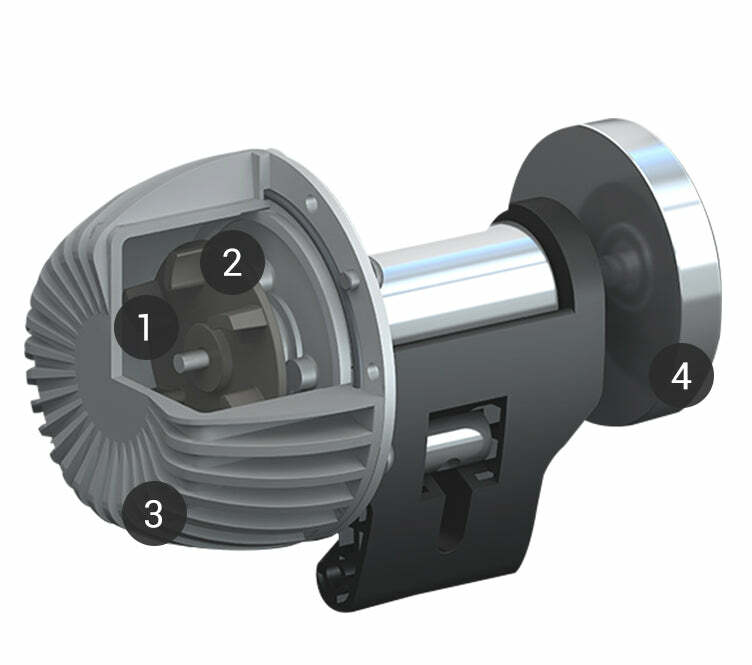 Any vibrations or noise is dampened by the fluid, resulting in little or no noise from the impellor system. 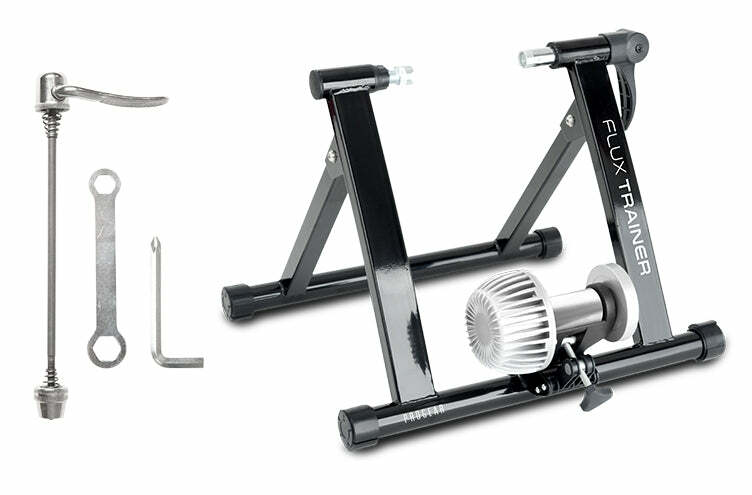 How Does the Flux Trainer Work? 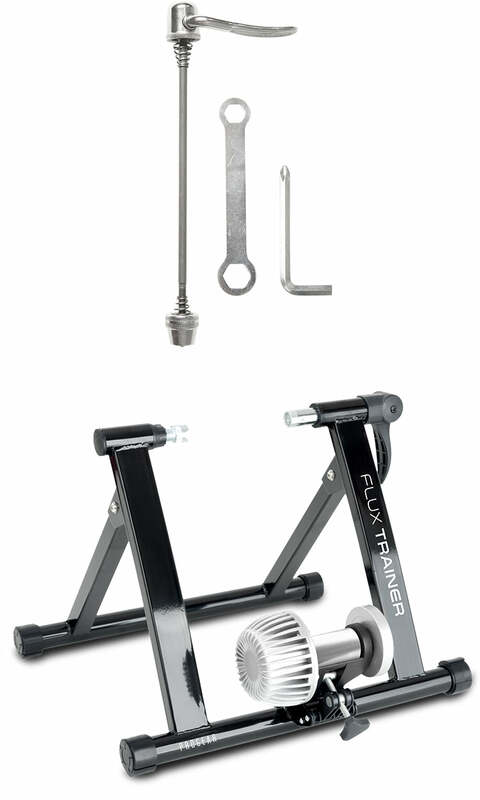 Our Progear Flux Fluid Bicycle Trainer is designed to deliver smooth, quiet and realistic road riding. 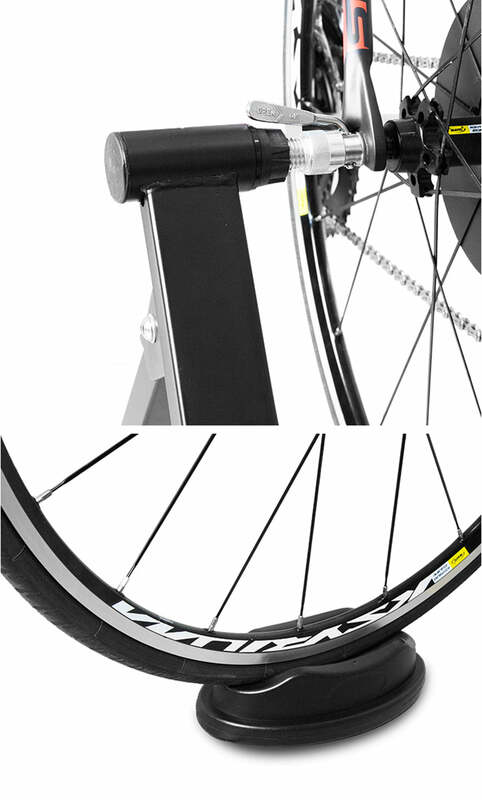 Our fluid system delivers exceptional road-like resistance, and becomes harder to push through the harder you pedal. 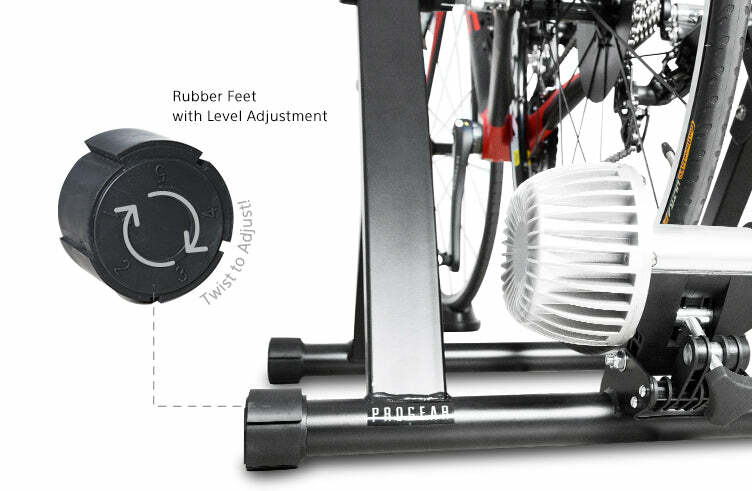 Our Progear Flux Trainer is designed to deliver smooth, quiet and realistic road riding. 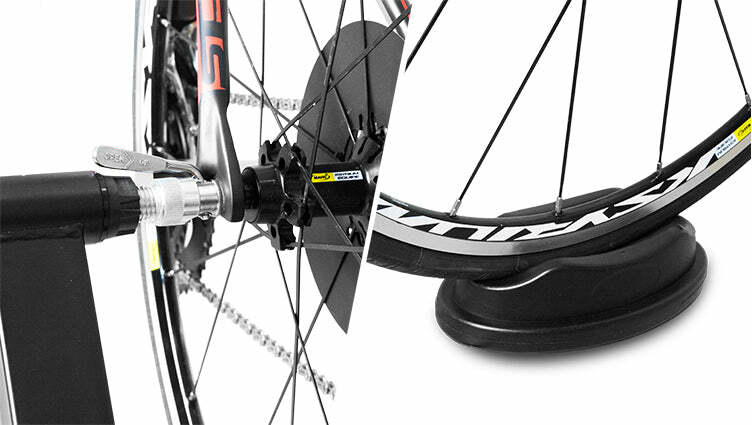 Our fluid system delivers exceptional road-like resistance, and becomes harder to push through the harder you pedal. Our aluminium rollers are more consistent, quieter and requires less maintenance than gel rollers. Reduces noise and tyre wear by up to 50%. 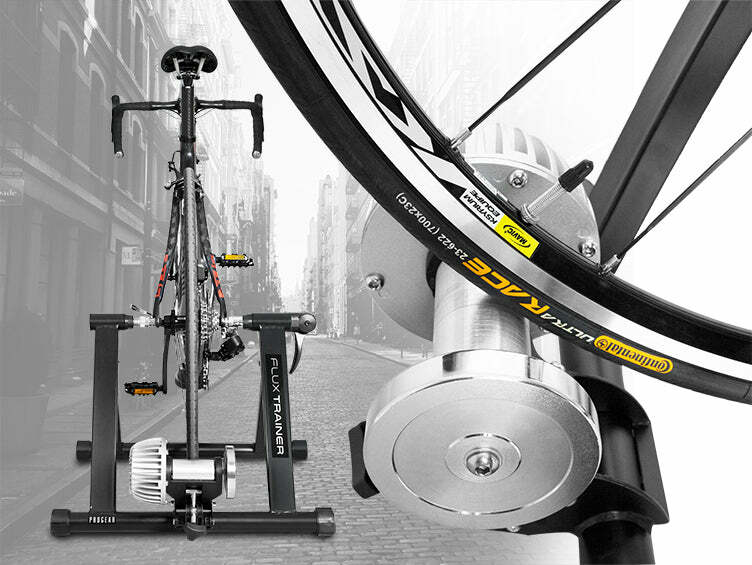 Our trainer can be adjusted to suit 700c, 26", 27" wheel sizes. Our strong steel frame comes with a wide base and anti-slip feet for extra stability during hard workouts and pedalling. 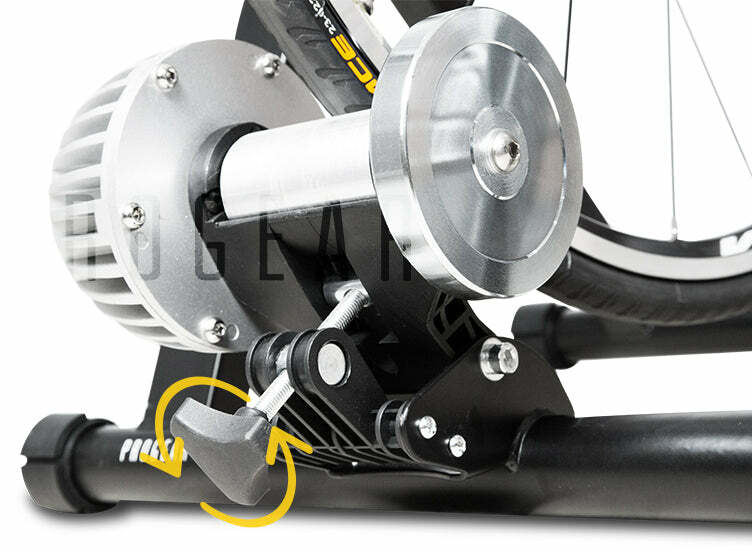 Front Wheel Floor Riser block to stabilise your front wheel. Easily foldable with a low profile to save space and easy storage. Sets up in seconds when unfolding. Instruction manual and tools are provided for a quick 10 minute assembly. 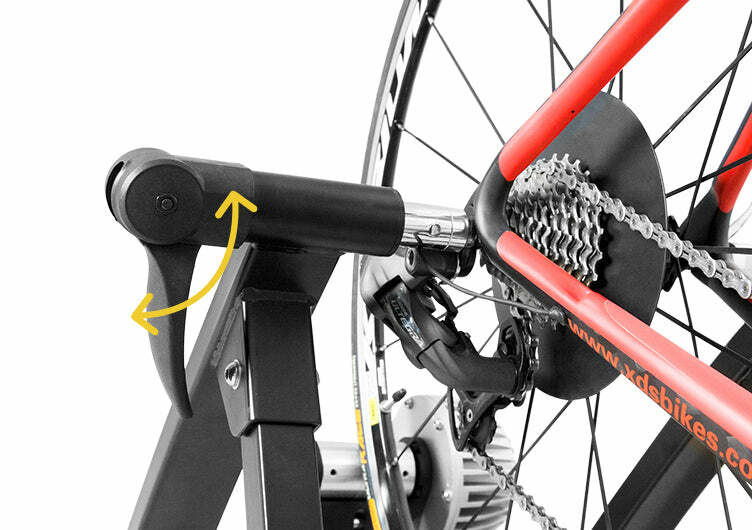 Harder you pedal, the more resistance generated. Our dynamic resistance changes with cadence, offering a similar feel to road riding. 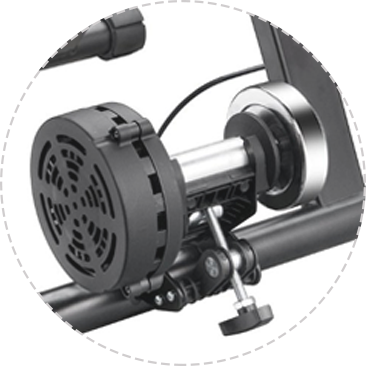 Any vibrations or noise is dampened by the fluid. Fins increase the surface area to dissipate the heat. Appropriately weighted to generate momentum and simulates coasting. 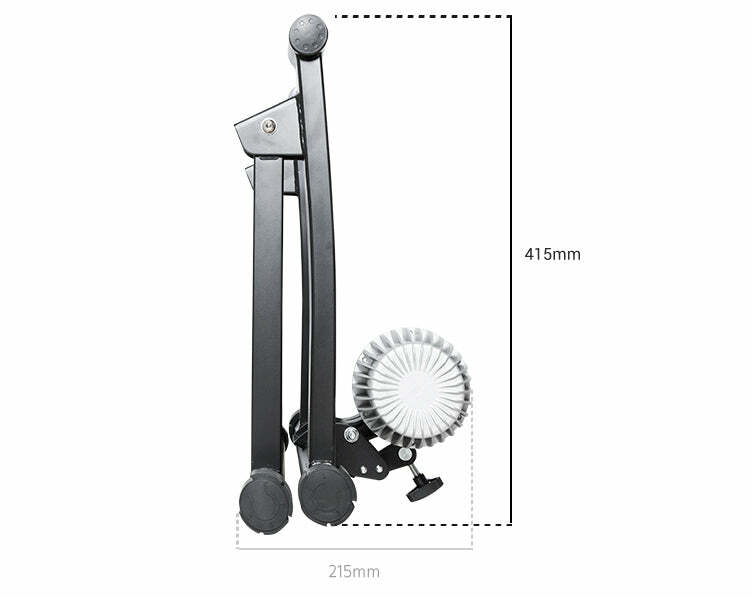 More consistent, quieter and less maintenance than gel rollers. Less tyre wear by up to 50%. Extra stability, as well as floor levellers to adjust. Easily foldable with a low profile. Instruction manual/tools provided for a quick 10 minute assembly. Front riser block included.